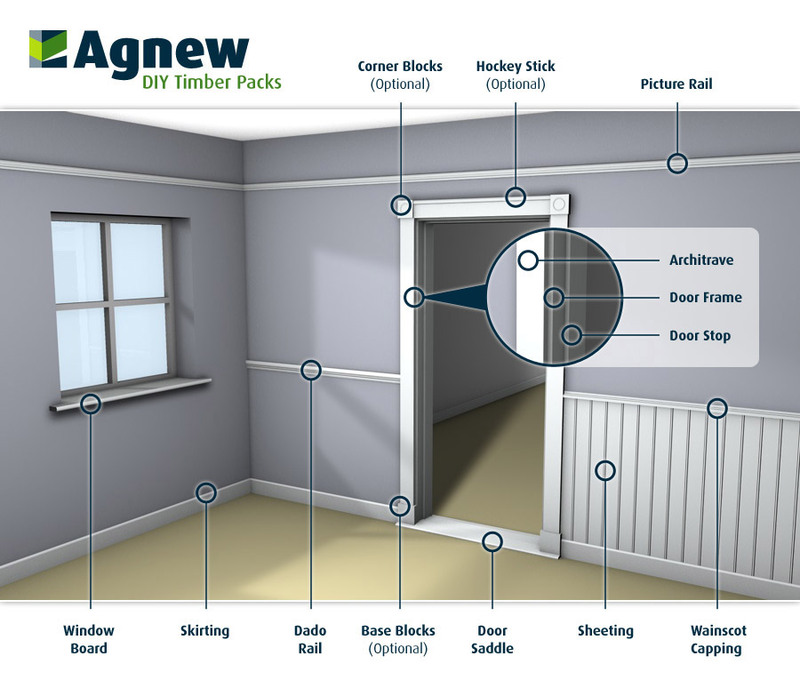 DIYTimberPacks are manufactured by Agnew & Co, a family-owned and run company with a proven track record in the manufacture of high quality timber mouldings, established in 1962. Our exclusive use of natural timber is a feature of all our products. Agnew & Co can cater to all your specialised needs, including a profile matching service, customised design and short run requirements. Wood has many obvious advantages over other building materials. As a building material, wood has the lowest energy consumption and the lowest CO2 emission of any commonly used material. Wood products continue to act as a carbon sink throughout their life. Timber has proven to be particularly energy efficient in use, and as such plays a major role in combating global warming. Together with its durability and natural beauty, the key advantages of wood lie in its affordability, its ease of maintenance, and its overall harmony with the natural and built environment. Timber is a sustainable resource that brings an earthy and comforting feel to the indoor environment. The use of natural wood products can help sustain the natural environment and enrich the appearance of your home! With our state-of-the-art finishing line we can supply top quality wood mouldings in three different products, pre-primed wood, pre-stained wood and pre-varnished wood. Working in partnership with selected mills to maintain the high standard of quality and consistency that its customers have come to expect. This is done by sourcing only quality timber from Finland mainly and from its investment in bespoke software stock control which provides traceability from supply to delivery. Agnew & Co believes in working closely with clients to achieve the desired professional result.